Posted in Beats, Rhymes & Life, Origins of the Blog with tags Big D, Don McCloskey, Philadelphia, Philly, Raekwon, Wu Tang Clan on February 25, 2013 by Alex D.
Posted in GoodFood, Origins of the Blog with tags 215, 305, goodfood, Miami, Philly, South Street, SouthStreetMiami on October 4, 2012 by Alex D.
Being a Philly cat living in Miami, I gotta check this place out… I love the space (the old SRA Martinez) and that design district vibe. Hope the food lives up. S/o to http://www.the305.com for looking out. Always Sunny In Philly Season 8 Coming Soon! Posted in Laughing Gas with tags Always Sunny In Philadelphia, Black Dee, Philly, White Dee on October 4, 2012 by Alex D.
Check out my boy Tayrone aka “Black Dee” with White Dee! Posted in AL.D.T.V., Beats, Rhymes & Life, Fresh Kicks, Origins of the Blog with tags 215, 305, AJIV Miltary, Amen, Art Museum, Drake, DreamChasers 2, hiphop, Liv, Meek Mill, Miami, Philly on July 15, 2012 by Alex D.
The Hottest track on the planet from a Philly kid doing it big in the 305…. Amen! #WOS….215 to the 305…. I’m A Boss. Posted in Beats, Rhymes & Life, Origins of the Blog with tags Hip Hop, I'm A Boss, Meek Mill, Miami, MMG, Philly, Rick Ross on August 1, 2011 by Alex D.
Posted in Games, Gadgets & Gear, Laughing Gas, Origins of the Blog, STADIUM STATUS with tags 700 LEVEL, Always Sunny In Philadelphia, Big D, Cheeseheads, NFL, Philadelphia Eagles, Philly, PHILLY CRACKHEADS on September 10, 2010 by Alex D.
WOS! WOS! WOS! The NFL season has arrived and so has the all-american brand of Hooliganisms that is the Philadelphia Eagles and their 700 level crew! From the same people that brought you the booing of Santa Claus, The Bounty Bowl and of course the in-stadium jail comes the next big Philly thing! 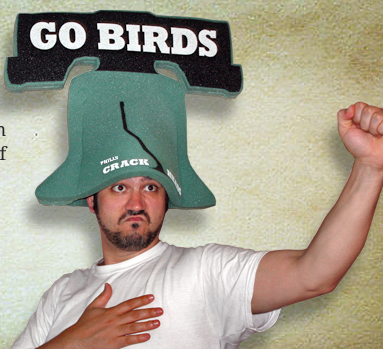 Two of my boys from back home created the Philly CrackHeads…..a wearable Liberty Bell to represent your Philly PRIDE! For the cost of 2 “WIZ WIT” and a COKE ($20), you too could get a CRACKHEAD! If you want to pick one up for this weekend’s game against the LOWLY Cheese Heads, check out the website here http://phillycrackheads.com . 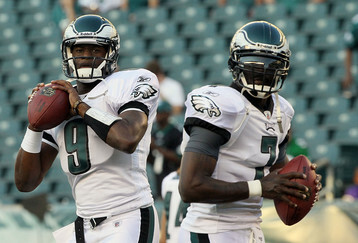 Lets go fellas…….E-A-G-L-E-S! EAGLES! CELEBRATE PHILLY WITH A CRACKHEAD!